Singapore is so clean and very unpolluted. The food is amazing!!! 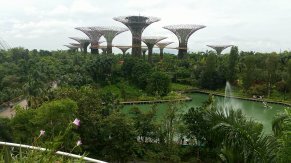 I recommend spending a lot of time in Gardens By The Bay as there are so many large beautiful gardens. Also get a boat tour. the best port of all, amazing, so easy to find your luggage. ppl super helpful. got a taxi to our hotel, one word of advice, check beforehand that its not a limo taxi, (which is more like a luxury van) as that cost us $55 set rate. got ripped off there, but didnt know, and the lady just pointed ppl to a cab so we just went. Got a cab to the airport from Tiong Bahru market place cost us $23 singapore dollars (pretty much dollar for dollar to Australia) much better, Get a MRT card and you can get the buses and trains anywhere and as many times as you like. their train system is phenominal, its the best in the world, can be confusing, but ppl are happy to help you find your way, and there is plenty of information around for guidance. took us 1 day to get used to it. Chinatown was great. Little India a big disappointment to us. Went to Mustafas to shop, waste of time, would of rather gone back to chinatown or found somewhere else. Spent the day at botannical gardens which is free, beautiful place, $5 entry into Orchid garden, well worth the money spent. spent 4 hours there. could of done more. 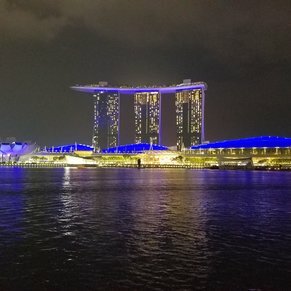 Went to Gardens by the Bay, get there before its dark so you get to see the beauty of it all in both daylight and night time, they have a light show about 7.45 and 8.45pm. amazing. Sky bridge is about $8 to go on, well worth the wait in the line, you only get about 15 minutes up there but amazing. You can choose to walk down the steps or take the lift. didnt have enough time to see everything. Stayed in a little hotel called Nostaligia Hotel in Tiong Bahru Marketplace, got an amercian breakfast each morning for free. was nice, if your only sleeping there, its comfortable and staff are friendly, Concierge was very helpful, Front desk staff found english a bit hard, but we got there, it rained one morning so they offered us umbrellas for the day. Had a massage salon next to it so got a massage for $50 for an hour if you like chinese massage place to to go, hurt like hell, but felt really good afterwards. their english wasnt great. food market is around the corner, great food, great prices. had a sugar cane drink, yummo. also peanut pancake, also yummo. ate at a restuarant on the corner, food was lovely, got small serves, which feed two of us with 3 items. Airport is super easy to navigate. but give yourself plenty of time if you want to shop in style as your gate could be a good 12 minute walk away. Just made our flight. 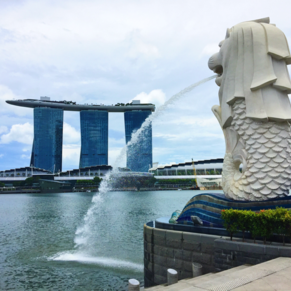 3 of 19 shore excursions in Singapore. 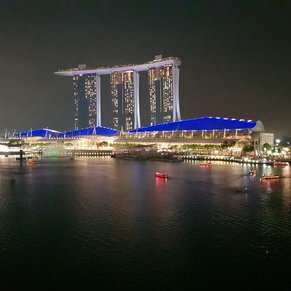 There are currently 9 discussions about Singapore.